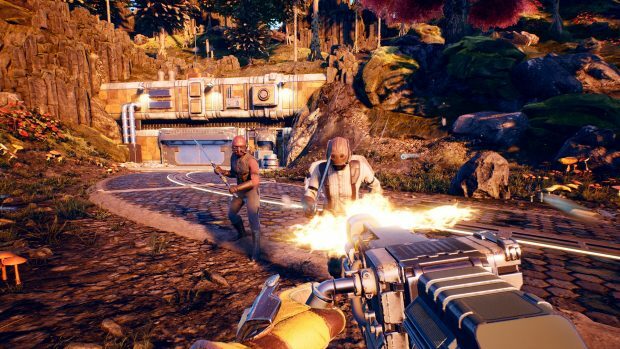 The Outer Worlds will not have a crafting system, says the game’s lead designer Charles Staples. At PAX East, we were shown a gameplay demo for the upcoming The Outer Worlds. In the demo, we all saw a small section of Byzantium, one of the game’s explorable cities. Byzantium is a corporate dystopia drenched in cash grab advertising. This is a world where capitalism has turned people into slaves. Advertisements are floating around on drones, they plastered on billboards and even casually spoken about in conversation. If a character wants something in this world, they must buy it. Nothing is for free. One of the reasons we sort of shied away from it was with all the corporate branding that we had. We felt like doing a lot of your own crafting sort of took away from one of those themes that we were trying to hammer on quite a bit and get across. He later spoke about modding weapons and armor. So if the players were doing just a lot of making their own things, it sort of lessened that message that we were trying to talk about. But we still want to allow a little bit of customization. We support that through modding weapons and armor. Crafting in video games generally allows players to search and gather materials that they can combine and use in order to make something new such as weapons, armors, abilities, or other useful items. It is essentially free, it doesn’t require anything that is monetary. Everything is available in the game’s world already. 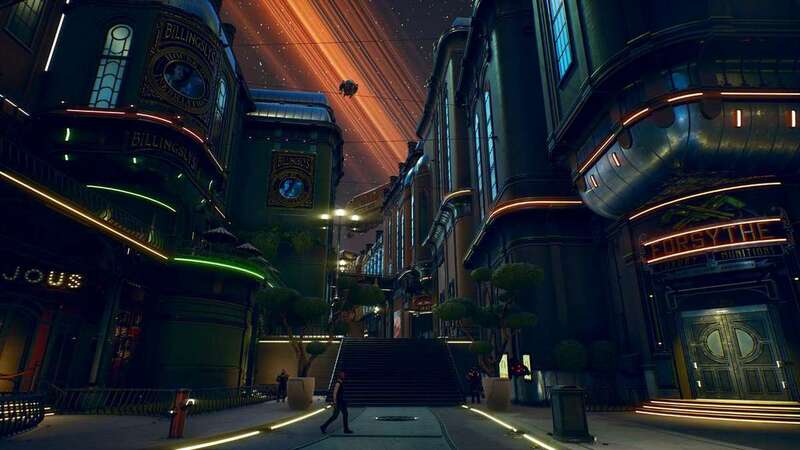 So, if The Outer Worlds revolves around capitalism, it doesn’t make sense for a crafting system to exist. Money is the way. 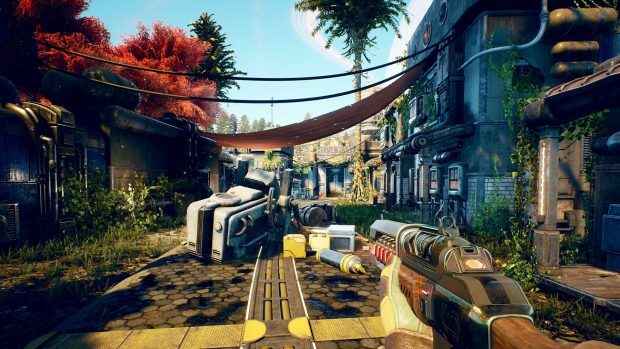 The Outer Worlds will be released on PlayStation 4, Xbox One and PC on Epic Games Store this year but the Steam version will not come out until 2020.